You are currently browsing the monthly archive for October 2011. He saw Maja’s little hands reaching for the baby’s bottle with her juice in it, her thin fingers curling around the edges of a Bamse comic as she lay back in her bed, reading. Her feet sticking out from under the covers. Six years old. Anders stared out into the vast darkness with its single, flashing point of light. The wine had gone to his head and the light was swaying, sliding across the sea, and he could see Maja in her red snow-suit. She was glowing in the darkness, and she was walking across the water. The little body, the soft skin, the muscles tucked into her warm suit. A patch of red that was moving closer, but which dissolved when he tried to focus his gaze on it. One of my, many, objections to the recent US film adaptation of John Ajvide Lindqvist’s Let the Right One In was that the prosaic title change – Let Me In – was stripped of the author’s intent. For not only was the book’s title a description of the relationship between the main character and a vampire, but a reference to a song by The Smiths. Given the story’s setting in the 1980’s this was obviously a personal call-back for the author. So when I found that a section of Harbour includes a flashback featuring characters becoming obsessive about The Smiths, well, let’s just say I was not surprised. The story begins with a simple tragedy. Anders and his wife take their child Maja on a trip across the ice to the old Domarö light house. While the parents investigate the abandoned building, pointing out the graffiti left by teens who grew up on the island much like themselves, Maja walks outside to explore and then vanishes. The townsfolk help search the surrounding area, but no trace of the young girl can be found. Broken-hearted Anders turns his back on his marriage and embraces the bottle. Years pass before he can bring himself to return to Domarö. Simon has lived on the island for most of his adult life. His landlady Anna-Greta was his only friend on the island when he first arrived and has since become his lover. Now an old man, Simon remains an outside on Domarö despite his relationship with Anna-Greta. Over the years he has grown used to their offhand treatment of him, but with the disappearance of Maja he begins to suspect something more sinister lies behind the community’s sheltered existence. He regards Anders protectively in a grandfatherly like manner and tries to help the young man find some balance in his life. Bound together by the tragic disappearance of the young child, they face the conspiracy of Domarö and the mysterious reverence felt by the people of the town towards the sea. Lindqvist’s writing is fascinating in his rooting of supernatural horror in the ordinary lives of his characters. Like his previous book Handling the Undead, this is a wonderfully thoughtful piece of horror fiction, that takes its time to let us get to know these people, so that when diabolical misfortune enters their lives it feels all the more devastating. There is also a cute storytelling device where the book itself – no one narrator emerges – apologises for having to dip in and out of Domarö’s history. Similarly a wedding scene in the latter-half of the book is glossed over because readers typically do not find weddings terribly interesting to read about. There is also an apt moment when Lindqvist addresses with horror fiction head on, namely that the ‘monster’ is typically an anticlimax when it finally appears. 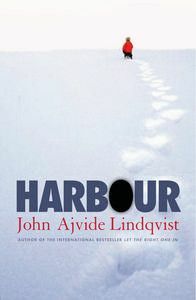 As such the mystery of Harbour is teased and unravelled slowly and gently, making this a very enjoyable book, in terms of technique. The melancholy of Anders and Simon’s growing paranoia are very well handled, transferring to the reader. The real surprise of this story is how it confirms Lindqvist as the true inheritor of Lovecraft’s title as the master of existential horror, albeit refining and maturing those concepts in a far more coherent form. An excellent work, genuinely gripping. The book of war, the one we’ve been writing since one ape slapped another, was completely useless in this situation. We had to write a new one from scratch. I reread Brooks’ follow up to the Zombie Survival Guide just as news broke that Glasgow had been converted into downtown zombie besieged Philadelphia for the Brad Pitt film adaptation. That earlier book featured a series of tongue-in-cheek survival techniques for dealing with the imminent time of the undead rising to feed upon the flesh of the living. If you go into a bookstore you’ll like as not find the Guide in the humour section. But the interesting section in the book was its latter half when Brooks introduced a series of short ‘histories’ featuring zombies tropes being applied to a number of unfamiliar settings. My favourite was the zombies in the French Foreign Legion narrative. For World War Z Brooks revealed that the zombie apocalypse has already happened and following years of hardship humanity is slowly rebuilding itself. This time the storytelling device is that our narrator is a bureaucrat traveling around the world assembling a report on the outbreak of the mysterious disease that caused the ghouls and how it led to the breakdown of civilized society. The one and one interviews between the narrator and the individuals he meets allows Brooks to introduce a series of contrasting genres into the monotonous zombie horror format. There are military exercises, home invasions, scientific inquiries, political satire – World War Z becomes a wide-ranging critique of many aspects of contemporary culture. With brain-munching on the side. Given the variation between the interviews, the tone shifts drastically from ‘objective’ reportage, to comedy, tragedy – even psychological suspense. There has been much comment over the years in relation to the celebrity cameos hidden in the text, from an apathetic Paris Hilton, to Howard Dean and even Nelson Mandela. There is even something blackly comical about Brooks pitching that the only event that could lead the political parties of the United States to unite is the near annihilation of the human race. As such this functions in the best tradition of post-George Romero zombie horror, happy to indulge in both gore and allegory. There is no plot as such in this book. 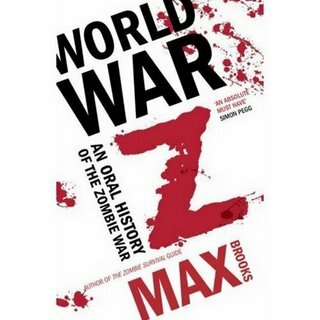 Rather this is a fictional history of the events that follow the outbreak of World War Z. Brooks was apparently inspired by the documented history of the second world war. Despite this the book is genuinely powerful, avoiding the calculated phrasing of the official report it will come to create. Indeed the narrator frequently alludes to how the official account will exclude much of the personal detail included here. That is possibly the smartest aspect of the book, how it balances the immensity of the horror unleashed with the ‘official version of events’. Compare this to Seeing by José Saramago, the sequel to Blindness, where we discover the government has completely buried the spontaneous lose of sight of an entire city’s population. Ultimately the characters introduced by Brooks are left to deal with the sights they have witnessed and the tragedies they have experienced alone. This is an instant horror classic, which rises above its brain-dead peers.